The Old West.. 1873. Arizona Territory. A stranger with no memory of his past stumbles into the hard desert town of Absolution. It's a town that lives in fear. With the help of the elusive traveler Ella (Olivia Wilde), he pulls together a posse comprised of former opponents-townsfolk, Dolarhyde and his boys, outlaws and Apache warriors-all in danger of annihilation. Read More Sinopsis. 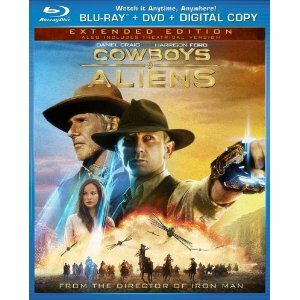 0 Response to "Blu-ray Release Cowboys & Aliens (2011)"